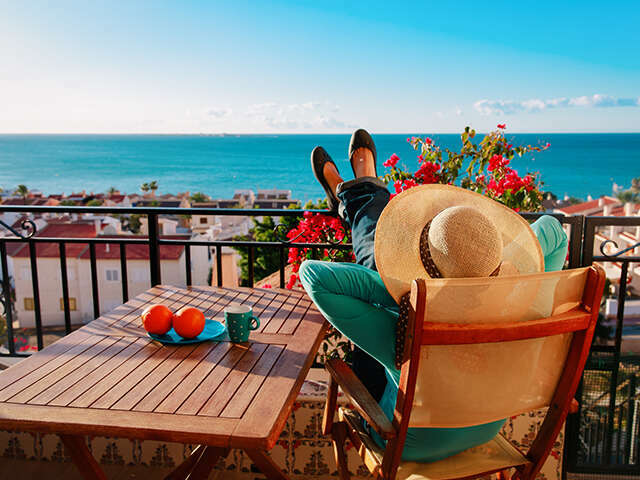 What is a Long Stay Vacation and why should you take one. A week in Mexico or a month in Portugal? 10 days in Hawaii or 21 days exploring Italy? Two weeks in Florida's theme parks or a month in Australia? Spending longer away and out of the cold certainly sounds like the more attractive option. However long term travel can be expensive. That's where Long Stay vacations come in. Long Stay vacations are designed so that you can spend longer in your destination, and can often work out to be better value. In fact, many of the examples we mentioned can work out to a similar price. So what is a Long Stay Vacation? A Long Stay vacation is a vacation where you spend an extended period of time in destination. This can be anything from 18 days to a number of months. What are the benefits of Long Stay Vacations? Great Value - You can travel in the off-season to take advantage of great rates and fares. Plus you'll often get 3 or more weeks in a sunny destination for a similar price as 1 week in an all-inclusive resort. Live like a local – An extended stay allows you to soak up the culture of the destination and surrounding areas, cook, shop and live like a local. Visiting the local market is so much more rewarding when you can pick out ingredients and bring them back to your condo to cook. Be as social or as independent as you like – Many long stay programs have a strong following of Canadians who will be there during your stay. You can make friends and explore together or if you prefer, enjoy your time relaxing on your own. Peace of Mind – We have lots of experience in planning long stay vacations to many destinations. We work with suppliers who offer properties that are not only great value but are also in line with Canadians expectations. Many packages have in-destination hosts or representatives who are there to assist and help plan excursions and other unforgettable experiences. What could be better than an extended stay in a foodie paradise, with enough time to feel like a local (and sample all of the local food and wine!) Check out our Italy long stay packages here. People go to Croatia to see the famous Game of Thrones spots, but they stay for the spectacular beaches and fascinating historic towns. The Costa del Sol (or the 'Sunshine Coast' in Spanish) is a popular vacation spot for travellers worldwide and is a great place to hide out for a few weeks. What could be better than a few weeks of sangria in the sun? Portugal's southernmost Algarve region is famed for having some of the finest beaches in Europe. Add in spectacular cliffs and charming villages and locals and you've got the perfect recipe for a long stay vacation. Check out our Portugal long stay packages here. This Mediterranean island may be tiny but it's packed full of beautiful sights and different cultural influences. Thailand offers beautiful exotic beaches at an affordable price: a winning combination for a Long Stay vacation. Australia's laidback Sunshine Coast offers the best of all worlds, with fabulous restaurants, gorgeous coastal scenery and of course the famous Australian beach culture. Have somewhere else you'd like to escape to? We offer Long Stay vacations around the world. Contact us to help plan your escape.